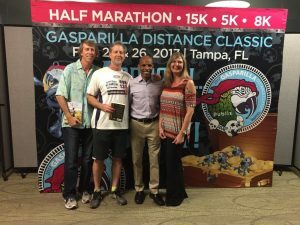 Great Gasparilla race weekend. 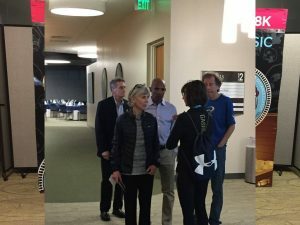 On Friday night, I got a chance to meet racing legends Meb Keflezighi, Bill Rodgers and Joan Benoit Samuelson at a dinner at the USF CAMLS building downtown. They are class acts who spent a lot of one-on-one time chatting with the attendees. It was fascinating and inspirational to hear some of their many racing tales. Bill Rodgers is a hoot! You start talking to him, and he’s instantly like your old friend. And to hear Meb, who fled war-torn Eritrea and became a US citizen, talking about how much it meant to him to represent the USA in the Olympics was very moving.